There's never been a better time to teach other people how to do the things you love. People from all walks of life are turning to online courses as a way to learn new skills and demand for online courses has never been higher. For content creators, this is an incredible opportunity. However -- once you've decided that online courses are for you and you've already found the right software to sell online courses -- with so many content creation tools on the market, it can be daunting to try to figure out which tools you should learn and which ones to avoid. That's why we've put together this comprehensive guide to the essential tools you need to create and sell online courses. We'll be taking a look at a range of tools across every stage of the content creation process, from recording raw video to editing your clips together in post-production. First up, let's talk video! When it comes to learning a new skill, there's no substitute for being shown how to do something. Written materials definitely have their place in online courses, but video courses are still the gold standard. To that end, we're starting our journey into the world of content creation tools by focusing on video recording. First up in our list of video recording tools is APowerSoft's Free Online Screen Recorder. Don't be fooled by the tool's utilitarian name - Free Online Screen Recorder is a remarkably capable software tool. 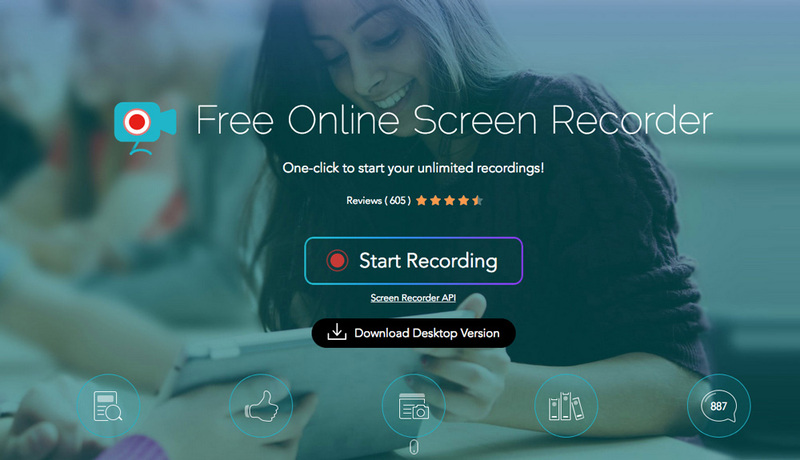 Free Online Screen Recorder comes in two flavors: the free version, which is a web-based application, and a downloadable desktop version, which requires a monthly subscription. It doesn't get much simpler than Free Online Screen Recorder. To get started, simply install the Launcher, then click “Start Recording” on the Free Online Screen Recorder homepage. You'll see a resizable box that controls how much of your screen you want to record, which you can stretch, drag, resize, and move to suit your needs. Recording options are accessible via the gear icon in the lower-right corner of the window, where you can change the output format of your video, the video and audio quality settings, and more. With an average user rating of four out of five stars at CNET, Apowersoft's Free Online Screen Recorder is a great starting point for course creators just getting into recording video. 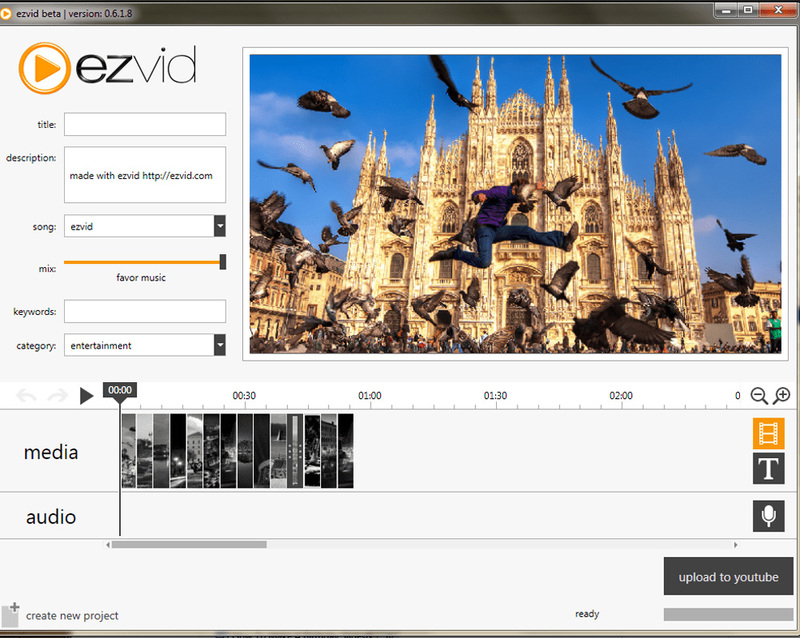 Our next video recording tool is Ezvid, a recording program with some very cool tools and functionality. Ezvid does everything you'd expect a free video recording tool to do. It can record high-resolution video footage from any input source including software applications and games, chat windows and VoIP programs, and your computer's webcam. In addition to its core functionality, Ezvid offers a range of tools that similar programs do not. Ezvid features a voice synthesis tool that allows you to create an artificial audio track for your video's narration or dialogue - perfect if you're not comfortable using your own voice for your video. Ezvid also boasts a range of video editing tools, such as video playback speed controls that you can use to speed up or slow down specific sections of your recordings. Of course, Ezvid doesn't get everything right. What could Ezvid do better? Ezvid is one of the best free video recording tools out there. 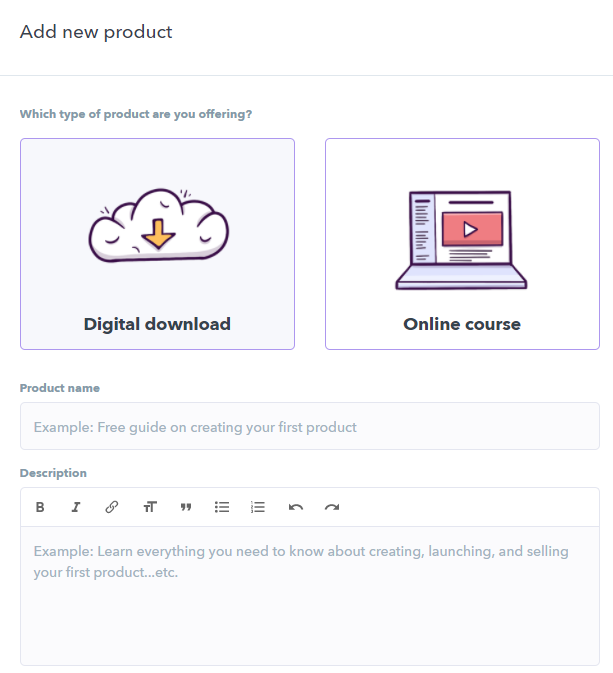 Combining advanced tools with an easy-to-use interface, Ezvid is a great choice for content creators who want to create and sell online courses. Ezvid has a rating of three stars out of five at TechRadar, with the tool's inability to save video files locally hurting Ezvid's overall grade. However, if you're willing to work around Ezvid's few limitations, it's a great little video recording tool that's definitely worth a look. Next up in our round-up of video recording tools for course creators is FlashBack Express by Blueberry Software. Similarly to other tools in our round-up, FlashBack is available as a free version (FlashBack Express) and a paid version, FlashBack Pro. The pro version has some very handy features, but the free version is also very powerful for a completely free tool. One of the main advantages of FlashBack Express is that it's so intuitive to use. You can record your entire screen or just a portion of it, add notes to your recordings, and even schedule when FlashBack should begin recording. FlashBack Express is a very capable video recording tool that's ideal for content creators. What does it do well? Now we've covered what FlashBack does well, let's look at where it could use some improvements. FlashBack Express was awarded an Editor's Rating of four stars out of five and a rating of “Excellent” by the editors of CNET, making this tool a solid, reliable video recording tool for all course creators. Now that we've covered some tools to help you record your video assets for your online course, it's time to look at several of the most popular video editing tools out there. It's hard to believe that HitFilm Express is free. Boasting tools and functionality that rival those of even professional editing and post-production suites, HitFilm Express is one of the most diverse editing tools available. 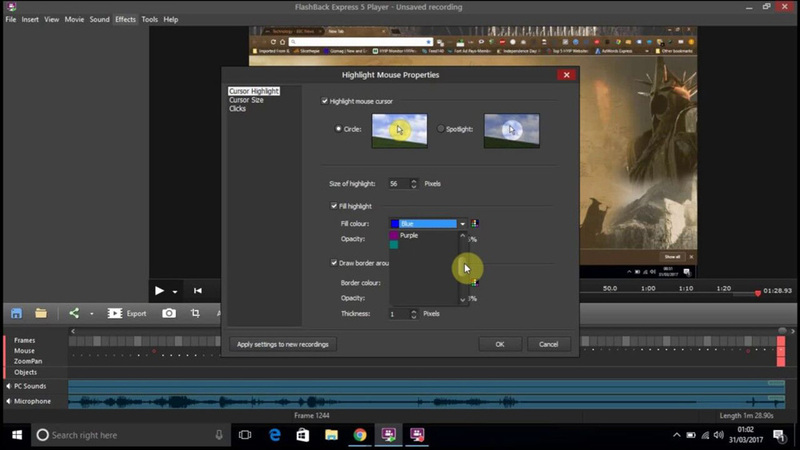 HitFilm Express isn't just a nonlinear editing suite. It's a fully featured post-production and compositing tool that allows you to create rich, visually stunning sequences with visual effects, transitions, titles, and more. The tool supports a wide range of industry-standard production techniques, including chromakey (green-screen), color grading, and visual effects compositing, making it far more than just a mere editing program. 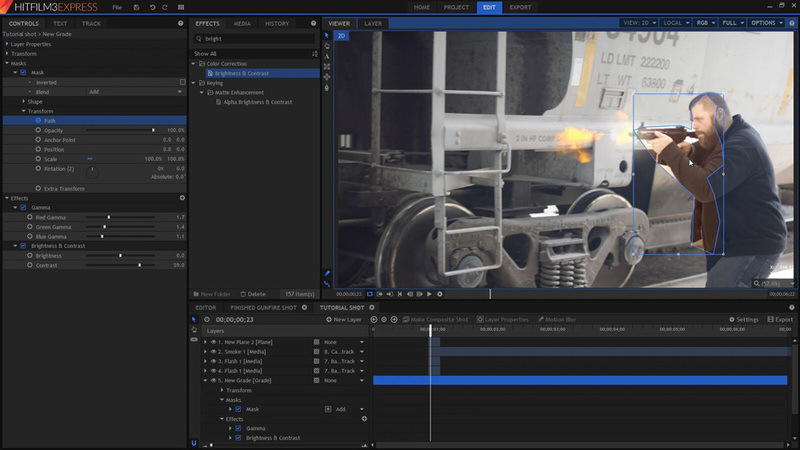 Overall, HitFilm Express is one of the best post-production tools out there. Its robust range of tools rivals even professional editing suites, but its steeper learning curve may be a little off-putting to newcomers to video editing. HitFilm Express received a rating of 4.5 stars out of 5 at TechRadar, so if you're willing to get past its slightly clunky interface, there's a lot to like. Next up in our list of video editing tools for online course creators is Lightworks by EditShare. Lightworks' core strength is its intuitive user interface. 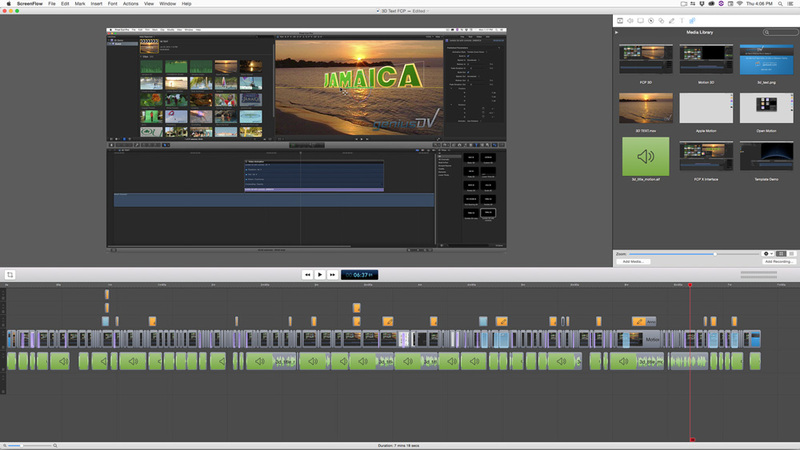 Although Lightworks features some of the fancier bells and whistles of professional editing suites, its simplicity and ease of use are what makes it such a great video editing tool. In addition to its streamlined UI, Lightworks has a range of other features that make it a serious contender, such as low-resolution proxy workflows for working with 4k video; support for native high-definition export up to 4k; and support for YouTube and Vimeo. Lightworks also comes with a library of royalty-free audio and video content, which can enhance even the most basic videos. Professional video editors may find the free version of Lightworks' export options to be too restrictive, but for most online course creators, it's a reliable video editing suite that's definitely worthy of consideration. Lightworks received a user rating of 3.2 stars out of 5 at G2 Crowd, making it a solid choice for a range of editing projects. Few video techniques can convey complex concepts more effectively than animation, and if you're planning to use animated elements in your online course, OpenShot could be worth your time. The tool features keyframe editing functionality, allowing you to create incredibly precise animated elements, from motion titles to sophisticated transitions. OpenShot also supports native rendering of 3D elements such as particle systems like snow; camera and lens effects like flares and distortion; and animated text elements for dynamic title sequences. 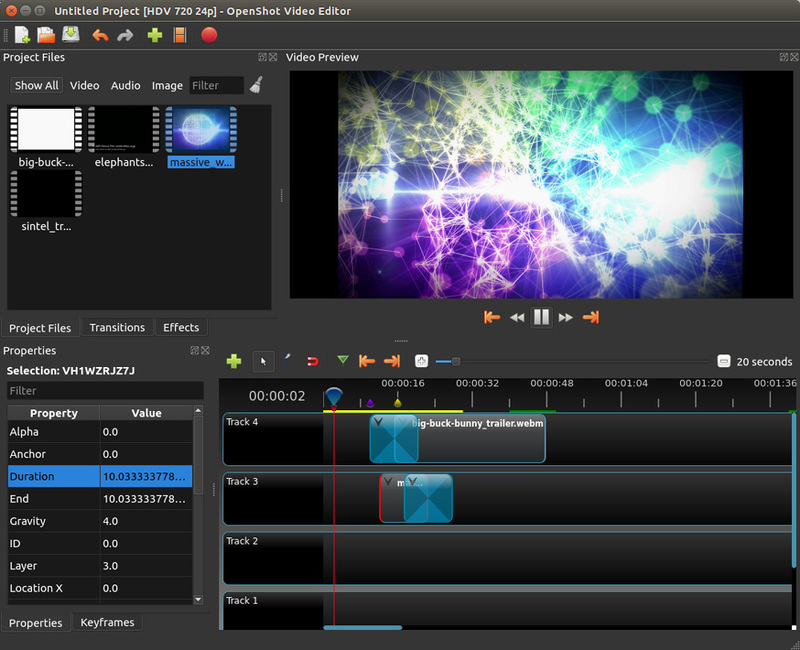 OpenShot is a great editing suite. What did we like most about it? OpenShot also received a rating of 4.5 stars out of 5 by Capterra users and 4 out of 5 stars by users of SourceForge, making OpenShot one of the most critically acclaimed free video editing tools out there and a solid choice for all online course creators. If you want a more premium tool that handles both recording and video editing well — and you’re willing to pay for it — then there’s another option that you should consider. For those of you who don’t mind paying for Mac screen recording software, ScreenFlow might be a great option for you. With ScreenFlow, you can do anything you can think of in terms of a mac screen recorder and video editor. For example, you can record specific parts of the screen through cropping, zooming in and out of footage, adding annotations, callouts, and more. It’s got all the bells and whistles you’d expect from a $129 app. ScreenFlow has lots of great features, which you’d expect for a premium product. What are the best parts? Now that we've looked at some of the best free video recording and editing apps available, it's time to turn our attention to document editing software. Many of the best online courses blend video instruction with text-based lessons and supporting documentation. No two people learn in precisely the same way, and some course content is better suited to text-based lessons than video. That's why we recommend including some written resources as part of your online course. Let's take a look at some free tools that can help you assemble your course's supporting content. The first document editing tool we'll be looking at is Canva - although calling Canva a “document editing tool” isn't really fair to this remarkably diverse tool. Canva allows you to create a wide range of documents, from banners and business cards to postcards and presentations. 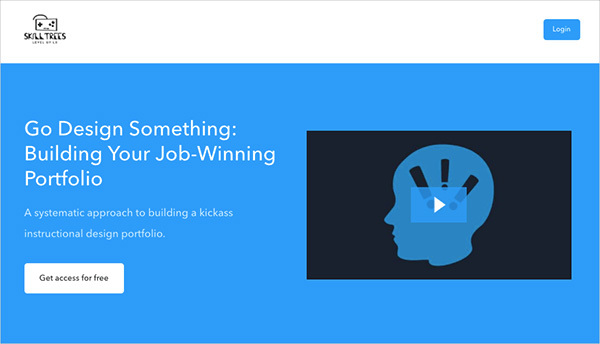 One of Canva's strengths is its primarily visual, drag-and-drop interface. Canva offers a broad selection of typefaces, visual assets, and presets to help you create stunning visual documents in mere minutes. You can also upload your own visual assets such as logos, images, and even patterns to create a strong, cohesive brand across your online course content. 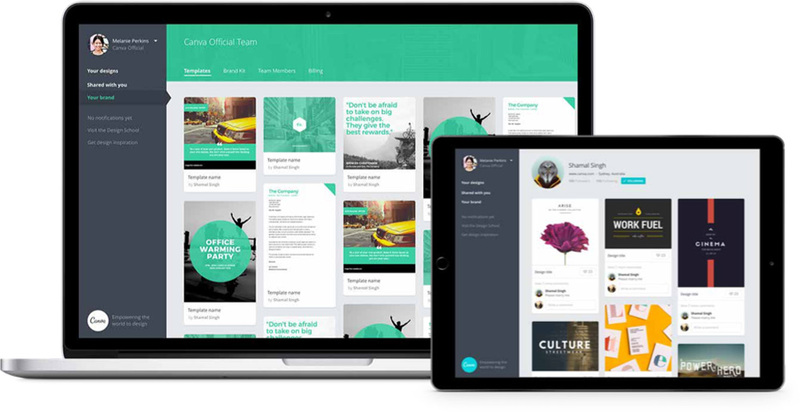 Generally speaking, Canva is a strong document editing solution with an effortless user interface that emphasizes creation rather than forcing users to learn proprietary tools. With a rating of 4.5 stars out of 5 at PC World, Canva is a reliable little workhorse that lets you create beautiful documents to accompany your online courses. Inkscape is a curious tool. It's primarily a vector graphics editor, putting it in the same category as products such as Adobe Illustrator and CorelDRAW. However, what's really interesting about Inkscape is that it allows you to combine vector artwork with text-based assets to create engaging supporting documentation for your online courses. 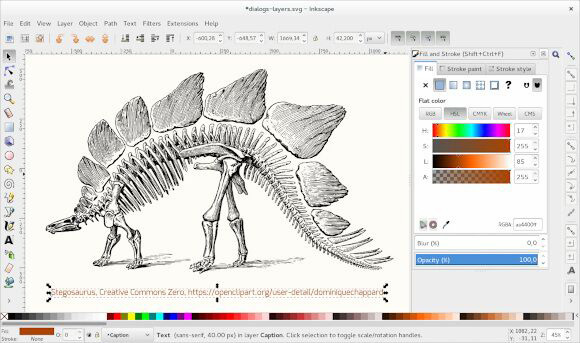 Inkscape is unique in that, in some ways, it's closer to desktop publishing programs such as Adobe InDesign or QuarkXpress. Inkscape offers a great deal of control over text-based content while providing a range of tools to control visual assets and page layouts. Overall, Inkscape is a remarkably capable document editing tool with excellent vector editing functionality and a broad set of text editing tools. Inkscape has a user rating of 4.3 stars out of 5 on G2 Crowd, making Inkscape a popular, reliable document editing tool for content creators. As its name suggests, FormSwift is a PDF editing tool - no more, no less. Rather than trying to cram in a bunch of largely useless bells and whistles, FormSwift focuses on doing one thing really well, which is creating and editing PDF documents. Actually using FormSwift is as simple as dragging an image, text document, or existing PDF into the FormSwift UI. Best of all, there are no downloads or installation requirements, as FormSwift is an entirely web-based app. 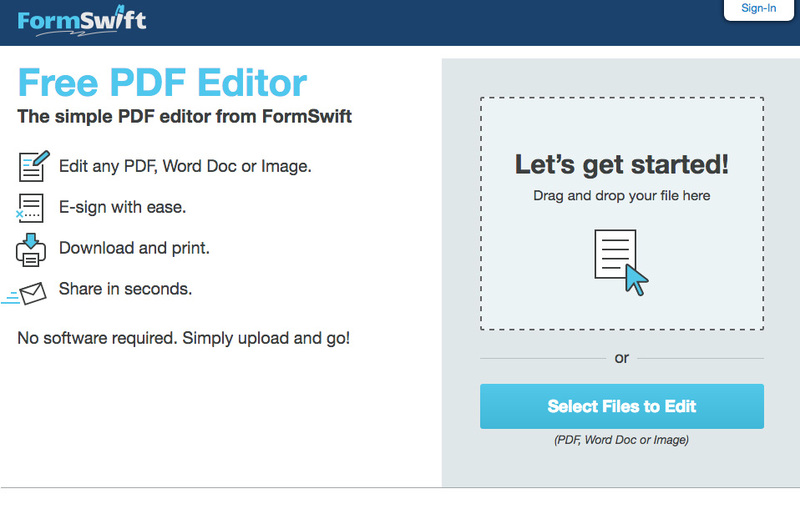 FormSwift is ideal for creating and editing PDFs. It's that simple! We've produced and recorded our raw video footage, cut it together and added some visual pizzazz with video editing software, and compiled our supplementary lesson resources with document editing tools. All we need to do now is bring everything together with project management tools. The kanban style of project management, which was pioneered at a Toyota manufacturing plant in Japan during the 1980s, has become incredibly popular in recent years. 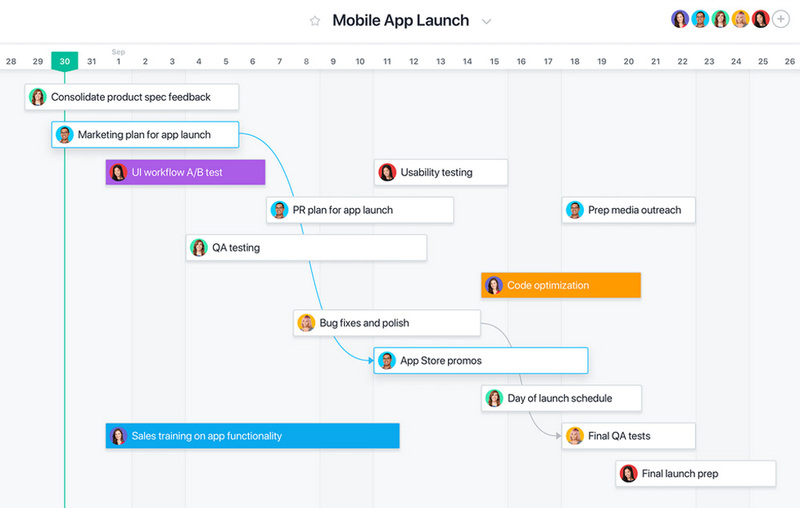 Our next tool, MeisterTask, is a kanban-style project management app. Although ostensibly designed for teams, individuals can get a lot of mileage out of MeisterTask. The tool allows you to create custom kanban-style workflows that break projects down into individual stages. Team members or project owners can then assign others or themselves to certain stages of a particular task, allowing you to see at-a-glance where you are in the wider project workflow. 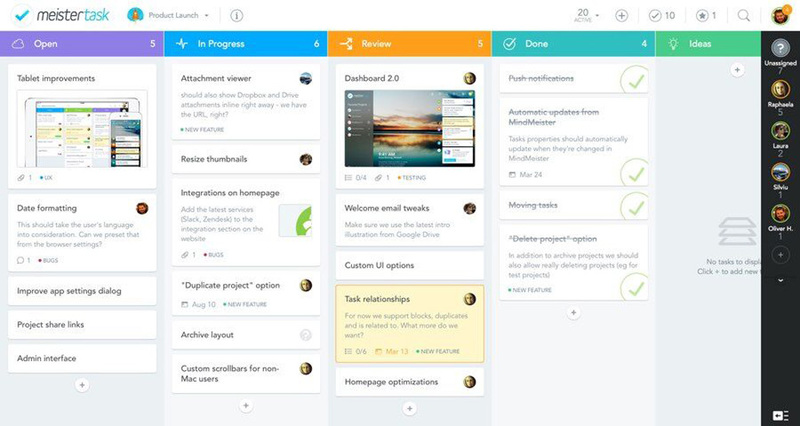 Unlike many other kanban board apps, MeisterTask offers users an individualized dashboard from which users can see and plan their day's activities depending on their current project. MeisterTask also features built-in chat functionality, eliminating the need to rely upon another chat service like Slack. So, now that we've identified what we liked about MeisterTask, what could it do better? MeisterTask is a solid choice for a project management tool. With a user rating of 4.5 stars out of 5 at Capterra and 4.5 stars out of 5 at G2 Crowd, it's also one of the most popular and widely trusted tools of its kind. Asana is a popular project management tool used by companies including Airbnb, GE, NASA, Spotify, and Uber, to name a few. One of Asana's greatest strengths is that it can be configured to manage a range of different project types. This flexibility makes Asana a great choice for content creators, as the goals, timelines, and objectives of each project can be easily customized and configured to meet your needs, no matter how simple or complex your project may be. Asana also keeps assigned tasks and conversations about those tasks in the same place, which is really handy if you're working on complex projects or collaborating with several other people. Despite its few flaws, Asana is a robust and flexible project management tool that can handle everything online course creators need to keep up with their content workflows. Asana received a rating of Excellent and an Editor's Choice award from PCMag.com, as well as a user rating of 4.3 out of 5 stars at G2 Crowd, making Asana one of the most popular and trusted project management tools on the market. Trello is arguably the best-known project management tool out there. Like some of our other project management tools, Trello is a kanban-style tool, meaning that projects are broken down into various stages, through which“cards”can be moved from one phase of the project to another to provide a visual representation of where you are in a project. Using Trello is as simple as it looks. After creating your project, you can use Trello's system of boards, lists, and cards to stay ahead of where you need to be. Simply drag a card from one project phase to another to move that task along the pipeline, and examine individual cards to see details for that particular part of the project. One of the coolest things about Trello is that it's just as useful for planning your next vacation as it is for managing a complex, multi-channel project. If whatever you need to do can be broken down into stages, to-do lists, and other subtasks, Trello makes it almost effortless. Trello has become incredibly popular in recent years. Why does everybody love it so much? 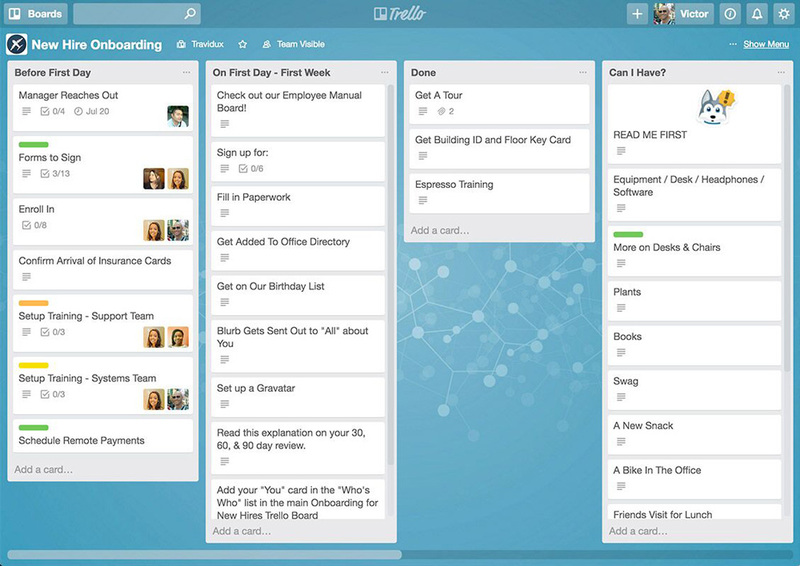 Trello is pretty great, but it's not perfect. What could Trello do better? Overall, Trello is one of the best project management tools for content creators. Trello has an average user rating of 4.4 out of 5 stars on G2 Crowd, which makes it one of the most trusted and popular project management tools available. As course creators ourselves, we understand the unique challenges of creating and selling content for online courses. That's where Podia comes in. We've built a range of tools to help content creators make and sell online courses, all of which are accessible from your Podia dashboard. There's certainly no shortage of video hosting solutions out there. From YouTube and Vimeo to Wistia and VidYard, course creators have plenty of choices of where to host their video content. However, between limitations on the kind of content you can upload to restrictions on everything from duration to output formats, you're at the mercy of whichever platform you choose. By hosting your video content directly on Podia, you can rest easy knowing your videos won't be taken down without warning, monetized by other companies' ads, or deleted mistakenly by automated content audits or copyright take-down notices. 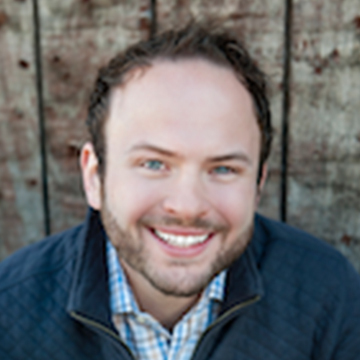 To this day, email marketing remains the most powerful sales channel for course creators. In fact, email marketing is so effective that for every dollar spent, email generates a return of approximately $38! Services like MailChimp are awesome, but Podia's email marketing services were designed with content creators like you in mind. We can help you build your email list, refine your messaging to maximize open rates, and design beautiful emails that are as delightful to look at as the rest of your content. You can even create drip campaigns to nurture prospective students as they become more familiar with you and your courses. Landing pages are crucial to the success of any online marketing campaign. There are plenty of great landing page tools available to content creators, including Unbounce and Instapage, but if you want to keep everything in one place, Podia's sales page tools can help you build strong, engaging sales pages that drive conversions - all without leaving Podia. 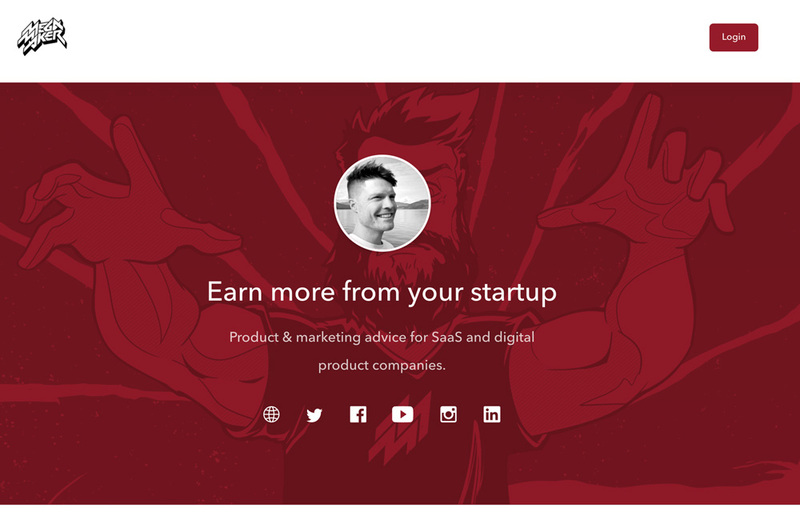 Podia's sales pages look beautiful, but they're also optimized to drive conversions, gather email addresses, and tell your story. As a content creator, you know that actually producing your content is only half the battle - you need to get your products in front of motivated customers if you're going to earn the kind of money your content deserves. Podia's storefronts are designed to help you sell any kind of content including courses, digital downloads and memberships. Best of all, customers don't need to register a Podia account to purchase your products; all they need is an email address and a credit card and they'll be learning from you in seconds. Once you've established your digital storefront for your online course content, you need to manage that content. Podia makes it effortless to manage who sees what and when. With password protection and a range of other features, Podia takes the hassle out of managing access to your content. You're a content creator - you worry about creating amazing content, and let us worry about keeping everything safe. Launching an online business used to be as much of a technical endeavor as a business venture. With Podia's built-in checkout tools, you'll never have to worry about wrestling with another e-commerce platform ever again. Our e-commerce tools were built to make it as easy as possible for content creators to start selling their content. You don't need to be a developer or an economics major to start selling on Podia. Simply create a product, connect your PayPal or Stripe account and let Podia power your checkout flow from start to finish, including transaction processing, detailed sales records, and more. There are literally hundreds of content creation tools available, and we’ve covered our favorites in this guide. Whether you're an experienced content creator or are thinking of selling an online course for the first time, we hope that this list of tools has given you some helpful ideas on how you can improve your content creation workflow.